Born in 1970, Sharon Witt was raised in the beautiful Yarra Valley in the outskirts of Melbourne, Australia. Ever the social butterfly who thrived in the school environment, it is no surprise she went on to become a school teacher. At age 12, Sharon declared she would return to her high school as a teacher one day. Always a girl of her word, this is exactly what Sharon did. After qualifying as a teacher, she headed straight back to the school she attended all those years prior. 15 years later, Sharon wrote her first book series for teenagers. Teen Talk began as a way of helping young people navigate the many issues that come with growing up and developing resilience. This series served as a launching pad for an entirely new career as a best-selling author. Sharon’s books have now been published in multiple countries and translated into several languages. Sharon is a sought after media commentator on teen issues, appearing regularly on television and radio programs. Since launching her company, Sharon has gone on to write and publish a further 12 books, including the best-selling Girlwise and Wiseguys series. In addition, she has created numerous educational programs for schools and now mentors others who have a passion to share something of value with the world. 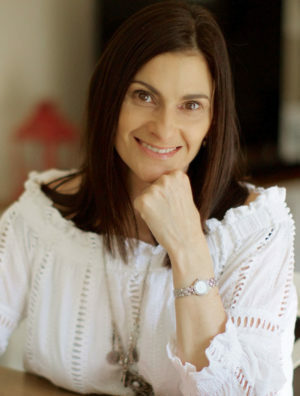 Sharon’s most recent venture has been launching a highly successful parenting and education conference, which she has taken around Australia. She still teaches two days a week, spending the rest of her time writing for publications, taking part in media interviews and presenting at conferences and events. Sharon is passionate about growing her business and continuing to find innovative ways to educate parents and young people.